To lose weight, you must boost metabolism. If you’re not losing weight, chances are you could use a metabolic boost. Increasing muscle mass with strength training is the number one way to boost your metabolism. Every year, Australia hosts an 543.7 mile ultra-endurance race from Melbourne to Sydney. It is a 5-day race and only world-class athletes attempt the grueling race. In 1983, Cliff Young changed that. Cliff Young joined the race at 61 years old in overalls and work boots. People thought he was crazy. Runners have to run 18 hours a day and sleep for 6 during the long trek. What was this old man doing? Well, he was setting a new course record of course. He finished first among all competitors, shocking the Australian crowds. Cliff Young grew up as a farmer. The family’s sheep would graze over 2000 acres of land. Occasionally, he’d have to round them up over 2-3 days straight without sleep. When it came to the race, the other competitors would run for 18 hours and sleep for 6, Cliff didn’t know that. Instead, he ran all day and night non-stop. So even though he was slower than the other competitors, he kept chugging along for 6 more hours a day. It was enough to have him finish 1st out of the pack. When it comes to metabolism - you burn calories when working out but this is just burned in 1 hour of the day. It is more important to focus on how many calories you are burning during the other 23 hours of the day - when you’re resting. By boosting strength and muscle mass, your metabolism is revs day and night, just like Cliff Young. And, just like Cliff Young, you’ll see more results than even more skilled individuals chugging along part-time. Over the last 10-12 years of my professional career, I've learned from Crossfit owners, movement specialists, chiropractors, and physical therapists. I've had patients training for body building, for marathons, and for triathlon competitions. Before moving to Arizona, I also worked in the chiropractic office that treats the New York Jets and New York Red Bulls. I've read a number of books and have listened to numerous interviews with some of the best minds in the industry. In short, I know how the best treat their bodies - and yes, strength training is a huge component of maintaining peak performance in sports, and the same principles & practices promote success in life off the field. Now, read on as I share some of the critical tips I've learned along the way! High-intensity workouts are not the best strength-building workouts. Long cardiovascular workouts on the treadmill or elliptical machines are not strength-focused workouts. Aerobic or Body Burn-style classes are not strength-focused workouts. True, strength-focused workouts include “low and slow” reps & moderate-heavy to heavy weight, (example: 5 sets of 5 reps, 10 sets of 5 reps; at moderate-heavy to heavy weight). You might warm-up with an elliptical or treadmill. You might follow a workout with some sprints on the treadmill, outdoors, or open area of the gym. But true strength building is dependent on good ol’ fashioned weights. So, when I see people not reaching their goals, often it is because they're staying away from the section of the gym with barbells, free weights, and Smith machines. Strength-training is by far the number one bang-for-your-buck for seeing the most results at the gym. Your muscle mass is the number one predictor of your metabolic rate. It is worth repeating once more. No matter the supplements one is taking, diet plan one is following, or genetics one is born with - building & maintaining muscle mass through strength training is the NUMBER ONE predictor of one's metabolic rate. If some of the movements and machines scare you - ask a friend, fellow gym-goer, or trainer for help. It may be worth hiring a trainer for a first few sessions. You'll learn how to do the movements properly & get some sample workouts that you can continue on your own. You might also really like the results and hiring a trainer may be one of the best decisions you can make to get you kickstarted. Once equipped with the knowledge on how to do the movements safely - then it’s time to do the work! Part of intimidation, for both guys and girls, is feeling that you’re not lifting as much as the person next to you. This comparison can help you with motivation in the future - but it's important to stick to your own goals and path. Social research proves that people aren't paying attention to us as much as we think they are. Remember, you’re Cliff Young and you’re going to finish first in the long-run. While endurance and interval training have their place in the gym, you need at least 2 strength-focused workouts a week to see strength results. Work your circuit and high-intensity training on other days as your body allows. You can do keep to body weight or light weight on those days. In the first 4 weeks of any strength program, strength gains are going to be a result of the muscles learning to fire better neurologically. It takes at least 4 weeks to start to see true hypertrophy (growth) in muscle. Ideally, expect to see significant results closer to 8 weeks out. 4.) What Intensity Should I Aim for? While your heart rate should still elevate moderately with a strength workout, you might aim for just 50% of your maximal heart rate (Generally max heart rate = 220 - age). As you get stronger and more fit, you may be able to increase this closer to 70% of your max during your strength workouts. If you’re under-recovered from a previous day’s workout - or poor sleep or higher than normal work demands from that day. You might aim for a lower intensity. But, guess what? You’re still working out on those days! Consider those workouts “active recovery”. There are a number of gadgets to help you track your heart rate. To get a sense of how you might feel, jump on a treadmill with heart rate sensors and see what 50% intensity “feels” like. Your lifts shouldn’t be a walk in the park by any means - but you shouldn’t be laying on the ground panting for air afterwards either! I generally wait for my breath to recover to that 30-50% range between sets. If it revs too much, I’ll set the bar down, catch my breath, lower the weight if I need, and finish the set even if I just have 1-2 reps left. 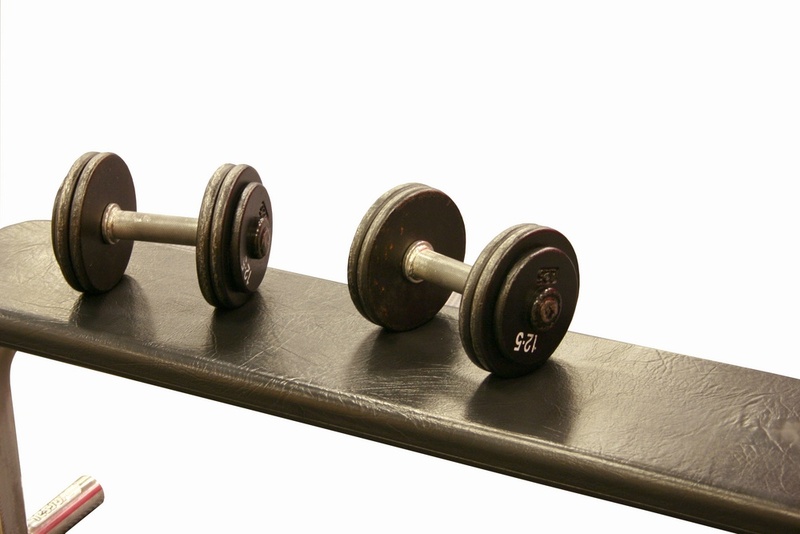 At least once a week, you should do “slow” reps when lifting weights. Your strength workouts are only one aspect of your total fitness plan. You'll be doing other types of workouts and movements on other days. On strength-focused workouts, your reps should be 20-30 seconds long each. This can seem very odd when first doing it, and you should lower the weight as you will find it is also more taxing. You should also lower the weight because you’ll be emphasizing the full range of motion of whatever joint you are working out. You will be naturally weaker in the more extreme ranges of motion (example: the very bottom of a squat or the very top of an overhead press). Without going slow, we will naturally “cheat” our way by skipping or rushing through these more extreme angles of motion. Muscle fibers contract similar to velcro. On a microscopic level, individual muscle fibers hook and turn in bands together to contract the muscle. When you slow down a movement through the entire range of motion - you activate every muscle fiber along the entire length of the muscle, along the full range of motion. This is why slow reps double your results compared to fast movements. If you do not strengthen through this full range of motion - you put yourself at risk of injury when you fall or slip or twist and happen to engage that weak part of the muscle that you didn’t strengthen well enough. While the gains may seem slow at first, you're also raising the ceiling of results you'll see months down the road. 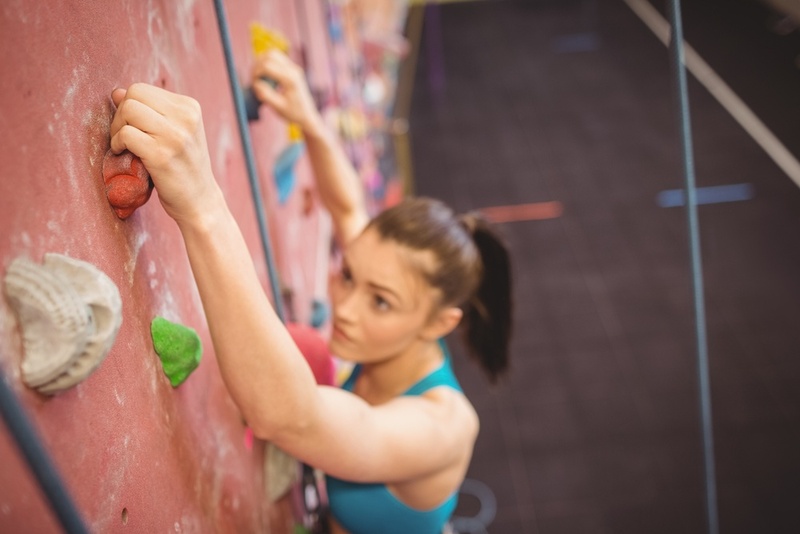 This is because you're strengthening through the entire range of motion, reducing risk of injury, and you're also tightening up those ligament and tendon attachments that otherwise might start to fray months or years down the road. In the strength world - “time under tension” is a term that refers to the amount of time that your muscles are contracting against a weight. When you increase time-under-tension, you’re increasing the eccentric workload, and the total time the muscle is under stress. The eccentric movement is also known as a “negative rep”. Eccentric movements are the number one way to make muscles stronger. It invites more micro-tears in the muscle tissue than any other type of muscle contraction. The more micro tears you create, the stronger the muscle will heal back. Because strength-building invites these microtears - this is a great time to reinforce the importance of mobility and foam roller work when building strength gains. With slow reps, you fully engage and exhaust the muscle without revving up your heart rate, and with decreased chance of injury. Research shows that when you slow down your reps, you can get double the strength gains in as little as half the time. One of the most important things I learned from strength coaches and listening to podcast interviews with world experts is the importance of a stable grip and core while performing a lift. There's a cool effect that a contracted muscle will have on every muscle near it - the stiffness of one muscle translates to all of the other muscles near it. A strong grip and strong core serve as anchors for you as you complete a movement. The two best ways to take advantage of this added strength is to engage a white-knuckle grip on the barbell, dumbbell or equipment handle, and engage your core, pelvic floor, and glutes through a lift. These simple steps can set the stage for a lift and allow you to get even more results out of your time lifting. Sometimes the muscles that get tired the most for me are my forearms and hands more so than my arms and shoulders - especially when I'm doing 20-30 second reps. This is because I'm aggressively focusing on my grip through all of my exercises. When you try to do strength and cardiovascular workouts together - the styles are at physiologically at odds with one another. Keep the animals in separate cages. It is frustrating when I see someone hit the weights hard and then follow it with a cardiovascular style workout. They are effectively wasting any strength gains from that day. Their attempts at "burning more calories" is actually hurting their ability to burn a greater amount of calories Cliff Young-style like we learned in the story earlier. You might split strength and cardiovascular workouts up over the course of a day (cardio in morning, lifting in the afternoon). If you try to do both together or back-to-back, you not only set yourself up for injuries, but also waste the valuable strength gains you earned from the weight-lifting session. Different style workouts are designed to trigger different hormonal & muscle responses - when you mix and match, these responses can cancel each other out. You'll work more to drain your adrenals of energy than to build muscle mass and fitness. Keep them separate. Have an intention for each workout, whether strength, mobility, endurance, or boosting cardiac or energy efficiency. Let your body recover and reap the full benefits of your workout intention that given day. Maintaining form has two parts. First, correct weight lifting form starts with mobility & warm-up so that your body is in a more correct and natural biomechanical position. A good warm-up will also engorge your muscles with a little blood and allow them to be fully ready to take on the weight through the entire range of motion. The second part is giving your ego & competitive brain permission to take a backseat. Start low with weight and increase as your fitness allows with each set. I tend to ladder my sets where I start low and work up to peak weight at set #5, and then work the weight down again on sets #6-10. If you are straining to get an extra rep & you give up form to do so, now you may tweak that shoulder or hip muscle. That can lead to 1-2 weeks of a compromised workout schedule. Set your ego aside, lower the weight, take a breather, and finish the set without injury. 9.) Don’t Steal from Tomorrow’s Workout! Some days we just don’t have it. We’re under-recovered from the day before. Perhaps we got a poor night’s sleep. Maybe, we’re still stiff and sore from another workout. Relationship and work stress will also distract us from time to time. Go lighter, do some yoga or mobility work, sit in a sauna or steam room and do some meditation. Get recovered so that you can get back at it the next day. Either way, you’re still going to the gym, you’re still going to do something to keep that momentum going. An unplanned day “off” can take your entire workout regimen off the rails. There’s always mobility work to be done. Sauna and steam room sessions have independent benefits and will help you get the most out of your workouts and recovery. There are days where I go to the gym just to sit in the sauna or steam room for 20 minutes and call it a day. The same thinking goes to my sauna days - if my heart rate starts to rev up too much - session over. I've seen this happen way too much in triathletes, crossfitters, and weekend warriors alike. They have a goal, but they fizzle out or earn themselves an injury right before the time of their event or the deadline of their goal. Don't be them, be like Cliff Young and take the tortoise and the hare approach to winning your goals. I’m not stealing from tomorrow’s workout! I recommend doing exercise movements that involve many muscle groups at a time. So it can be more difficult than some of the "splits" you'll read about in body-building workout plans. These plans will focus on individual muscles at a time - saving the other muscles for other days while the others recover. I focus on functional, "compound lifts" like squatting or overhead presses. You can split your workouts in a number of ways, you can split movements that push one day and pull another, that squat one day and press the next. So ultimately there are ways to "split" these workouts. When the whole body is sore, it's a signal that today is a mobility day, yoga day, sauna day, or even nap day. Most importantly, if you’re sore, pay attention to why you’re sore. Is there an area that needs some more mobility work? Did you break form in a previous workout? Did you skip a warm-up or cool-down period after a previous workout. Did you fuel appropriately? Sleep well? Everyone has a custom answer to “Why?” - Figure it out and get back at it! Now, many of us intuitively know the difference between a "good" sore and a "bad" sore. If it's a good sore, you might do some light movements through the range of motion in that area and save the heavier stuff for other areas. Worst case scenario - if you have some "bad" soreness, it might mean that you’re treating yourself to some massage and body-work to get you back on track. Not too bad of a trade-off. 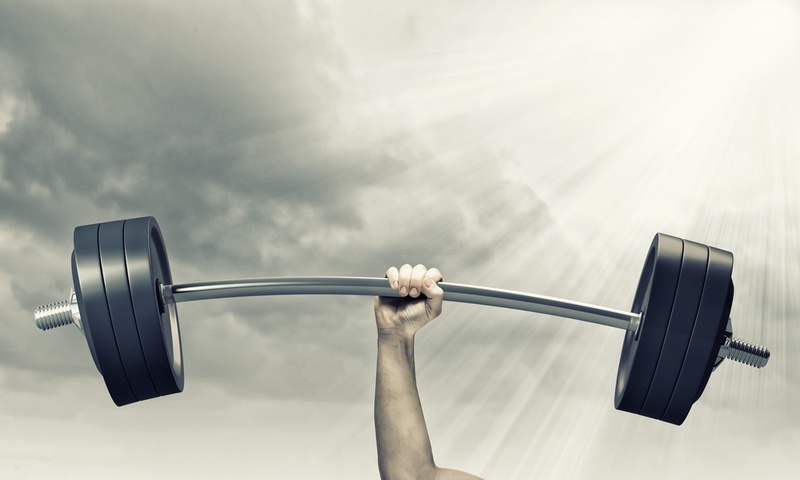 It's easy to always win with a strength training plan. Protein needs are rather easy to maintain even when lifting weights, I’m not a fan of body-building practices where you get unnaturally big and need to eat unnatural amounts of protein and carbohydrates to maintain weight. If you’re competing - this is a different story. But it doesn’t mean it’s healthy. From an aging and longevity standpoint - too much bulk is at odds with healthy aging. It is metabolically demanding. Not worth it in my opinion! Other parts of your workout regimen will include some high-intensity type exercises suited to boost mitochondrial efficiency (your body’s batteries) and prevent this oxidative aging. Please don’t invite aging by bulking for the sake of bulking. Your hormonal health and sexual performance can also be a barometer of whether you’re hitting things too hard in the gym, not fueling appropriately, or not allowing yourself to recover fully between workouts. When you eat protein, make sure there’s 15-25 grams of protein at each meal - adjusted for body size. You might even boost this to 30-50 grams in the meal directly following your workout. Beyond these amounts, you’ll put unnecessary strain on your kidneys and ultimately pee out the excess protein in your urine. Sure, some creatine, L-glutamine, or branched chain amino acid supplements can be helpful, but in excess they can be problematic. Build your natural base first and foremost - then go outside yourself to give yourself boosts if you choose. Get ample protein, but boost fat (example: avocados) and vegetables to your heart’s delight. Add in some starchy vegetables on an as-needed basis to recover from or prepare for high-intensity or long-duration workouts (a long hike in the desert is my favorite!). The key is getting complete protein with every meal so that you’re fueling repair throughout the whole day. A protein-free meal or a big steak once a week is not the end of the world either. Your body was meant to MOVE. It is estimated that our early ancestors walked upwards of 11-16 miles per day. Sitting and standing for long periods of time in a car, at a desk, or on your couch CANNOT be counterbalanced with a 30-60 minute workout. Sitting in the same position for an extended period of time (20+minutes) has been likened in research now to the same health risks of cigarette smoking. Exercising just once that day is not enough to reverse the health risks from an entire day void of movement. Mix in jumping jacks, push-ups, air-squats, abdominal planks, lunges, walks around the block and more throughout your day. I set up a Pomodoro timer for 25 minutes "on" and "5" minutes off. I'll increase the break time with each work block. I'm not afraid to take a short 20-minute nap around 2-3pm in the afternoon. I also work in some healthy sun exposure on breaks as well. It is recommended that you do at least 15-20 minutes of mobility work per day and add 4 minutes for every 30 minutes that you’re sitting or standing in one position. Mobility exercises are a great way to take your "pomodoro"-style break too. Check out Kelly Starrett's work over at MobilityWOD as well as Dr. Scott Mills' Full Body Fix for expert mobility exercise videos. Make fitness part of your work days and off days. If we want to live long, healthy, and MOBILE, lives, making mobility, strength and fitness a part of your day-to-day life is simply non-negotiable as far as I'm concerned. It might sound like a lot, but it will go along ways to maintain focus and brain health, cardiovascular health, muscle quality, linking more workouts together without injury, sleeping better, being happier more consistently, and more. Remember the old adage, “Use it or lose it”. Movement is life. When you stop moving, you invite aging and disease - simple as that. Now, go lift some weights!